Randomly grabbed from a bookshelf in Borders when I was in the mood to read something I have never heard of before, and it actually worked quite well. I love epic, sweeping historical fiction about the ending of an era/death of a civilization and this met those needs. 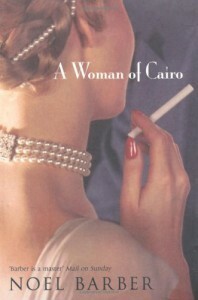 The story is set in Cairo, starting well before World War II when the British occupied the country and the Egyptians wanted to be free of this (and taking you through this time, as well as after it). The atmosphere set was fantastic and all of the historical, non-fiction details were woven into the story quite nicely. I would definitely recommend it, but the one drawback for me was the romance, which I found to be rather dry and clunky at times, yet overly sweet at others. It is rather important to the feel of the story, so it doesn't detract or take you away from what is a good book.